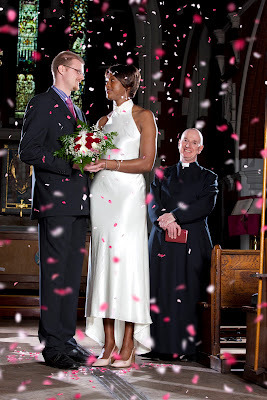 The 6 ft 5.5 inch Keisha Bolton and 6 ft 9.75 inch Wilco van Kleef are The World's Tallest Married Couple. 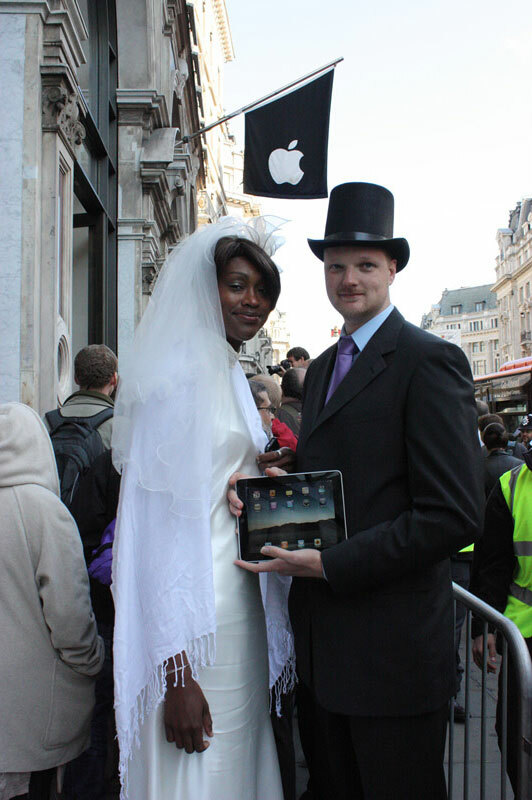 Keisha and Wilco van Kleef-Bolton, the world’s tallest married couple, with a combined height of 404.7 cm (13 ft 3.3 in), were at Apple's Regent Street store to pick up their iPads. 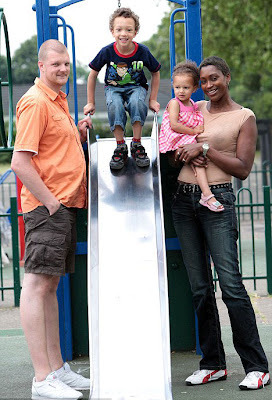 They have two children. Son Lucas, four, is already 3ft 11in - the height of a seven-year-old - and daughter Eva, two, is 3ft, the typical height of a three-year-old. 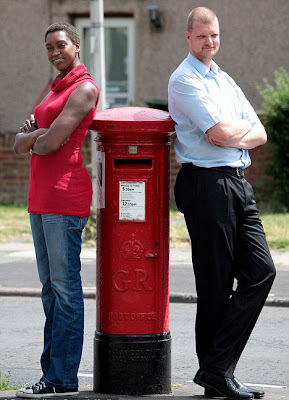 Kleef Bolton was referred to a specialist when he was ten and stood at 5ft 10in - the height of the average man in the UK. He was told he was naturally tall, rather than suffering from a medical condition.